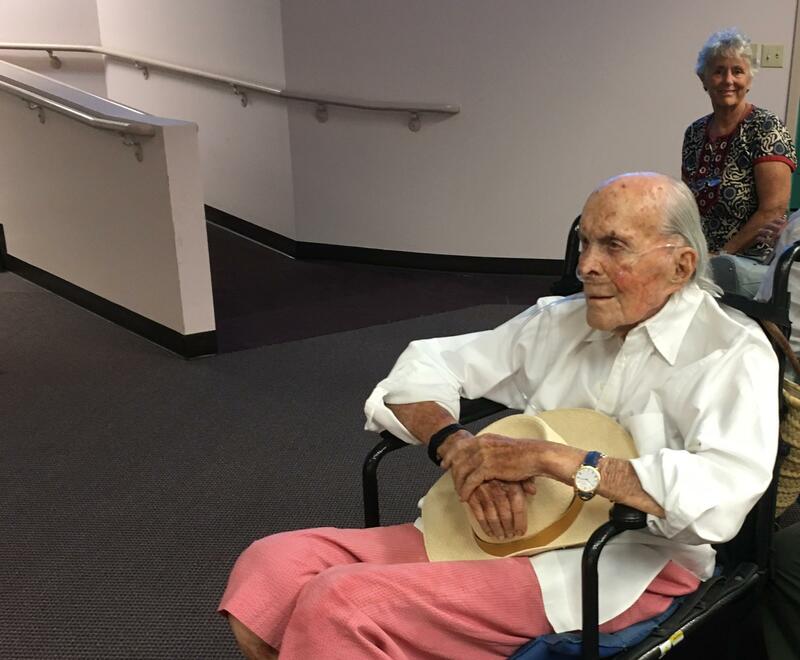 David Wolkowsky, who turns 99 this month, attended the Monroe County Commission meeting Wednesday where the commission supported naming an island after him. David Wolkowsky is sometimes called 'Mr. Key West' for his role in developing the island where he was born in August of 1919 — 99 years ago this month. He built the Pier House resort and has renovated a lot of historic properties. 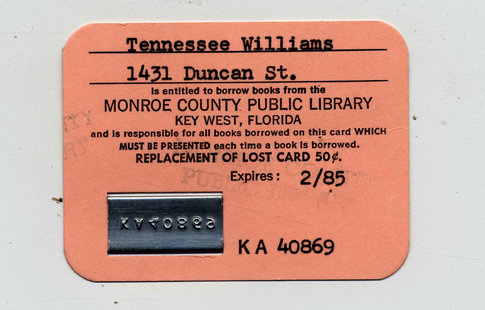 And he was a good friend of many celebrities who lived and played in Key West, including Tennessee Williams and Truman Capote. Wolkowsky's family moved from Key West to Miami in 1923 and he had a career in restoration in Philadelphia. He returned to Key West in 1962, ostensibly to retire — but wound up reshaping his hometown. He built the Pier House resort at the Gulf end of Duval Street and redeveloped many landmark properties on the island, ushering in the era of tourism and historic preservation that have defined the island for decades. Between his activities and his longevity, he has become an island legend. He was recently featured in a lengthy profile on the Bitter Southerner website. In 1974, he bought Ballast Key. 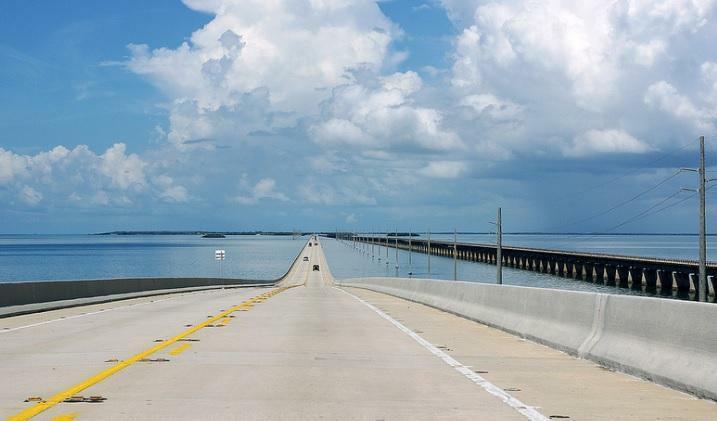 The island is less than 10 miles from Key West, within the boundaries of the Key West National Wildlife Refuge. On the island, he hosted visitors of note including British Prime Minister Edward Heath, Leonard Bernstein and Jimmy Buffett. Wolkowsky, and Ballast Key, even show up by name in License to Kill, the James Bond novel set partly in the Keys. This week, the Monroe County Commission supported a move to rename the island as David Wolkowsky Key. 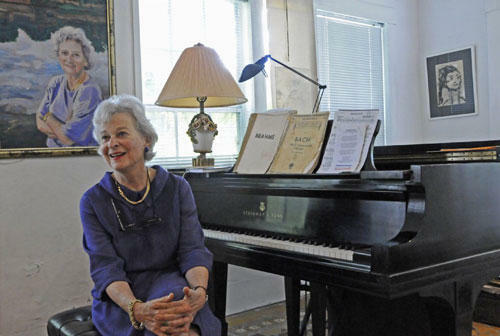 The county's resolution applauds Wolkowsky's philanthropy and impact on Key West. And it points out the house he built on Ballast Key is "actually the southernmost house in the Continental United States." The vote was 4-1. Commissioner Sylvia Murphy dissented, saying she admires Wolkowsky and his achievements but she has "simply never been comfortable naming something after a person." Commissioner Danny Kolhage said he was also reluctant but supported it out of respect for Wolkowsky's legacy. "I'm going to support this," he said. "But I hope we don't make a habit of it." The ultimate decision lies with the U.S. Board on Geographic Names. The county pledged its support for that process — five years after Wolkowsky's death. That's one of the U.S. board's rules. Duval Street is Key West's main drag, which stretches from the Atlantic Ocean to the Gulf of Mexico. The Gulf end of the street is busy, with lots of bars and restaurants. The Ocean end is public property; it's got a pier, nine parking spots and a Dumpster for the seaweed that collects at the shoreline. 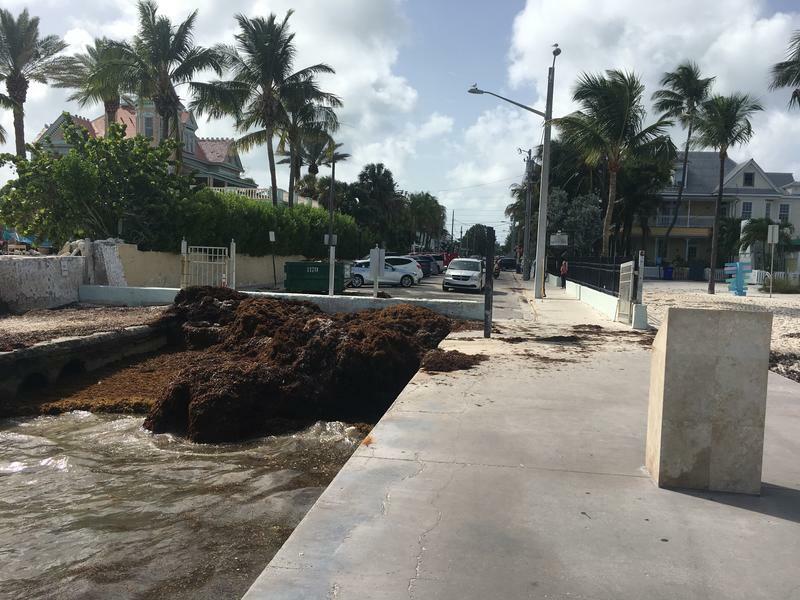 Living in the Florida Keys is life in paradise, but it comes at a cost. Day-to-day life in the Keys can be a struggle despite the natural beauty of the archipelago. Still, the affordability challenges, threast from hurrianes and risk of higher seas can't dilute the Conch spirit of independence, self-resilency and individualism.